This song was released just before the start of Onam festive season in Kerala. 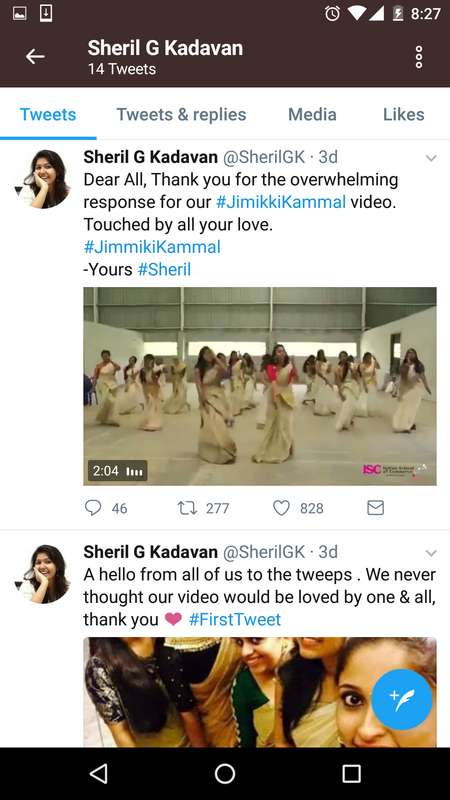 This song was part of almost all Onam celebration dance performances – be it the kids , college students, IT professionals, teachers / professors, families or flash mobs. 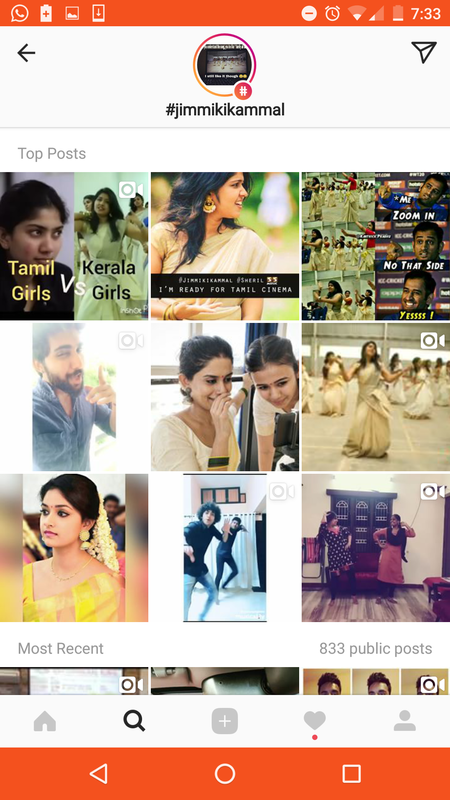 It was performed by people mostly malayalees staying at different parts of the globe. There are videos uploaded from Dubai, Abu Dhabi, Newyork, Pine falls, Melbourne, New Zealand, etc. Prem Nazir, Dhanush, Vijay, Justin Bieber, Michael Jackson, Mr Bean and even has Minions & Chipmunks versions. Since the song has gone viral, Everyone is trying to gather views for their own dance performances / edited versions. But out of all the performances which are garnering views in YouTube – one video has stood out and has gained momentum. This video has got 8.8 million views as of today morning and the talk of the town is that it may soon cross the views of the original video. This video which has gained popularity was performed by professors / teachers of Indian School of Commerce, Kochi, Kerala. The dance was led by Sheril Kadavan. 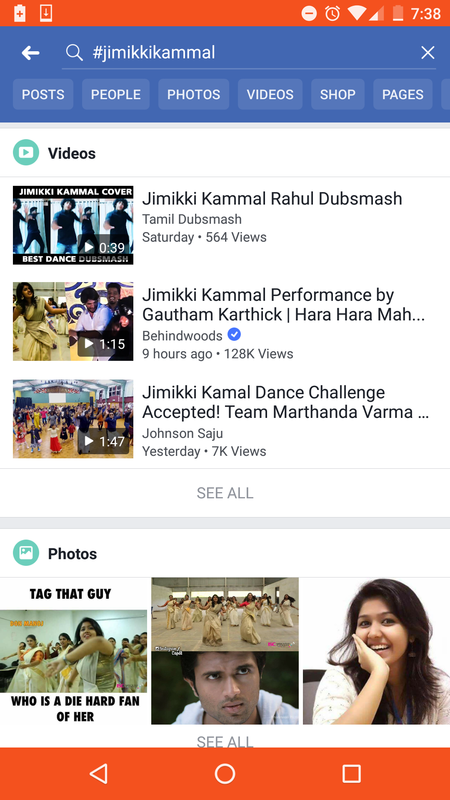 She has become an instant celebrity after her dance performance has gone viral. 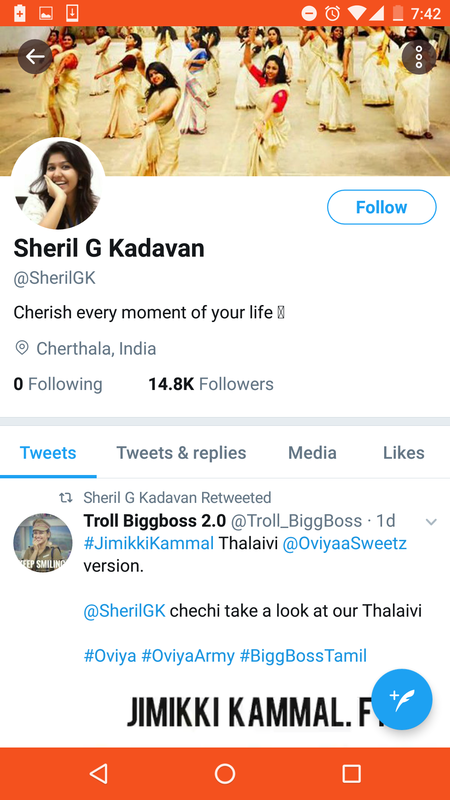 She first tweeted 3 days back and already has 14.8k followers on Twitter. She has also been offered roles to act in movies. 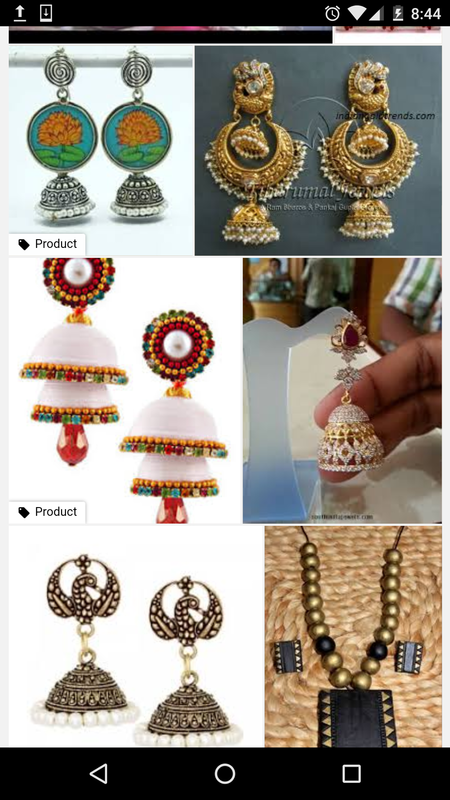 The demand for Jimikki Kammal (special type of ear ring – also known as jhumkas in North India) would also gone up after the success of this song. 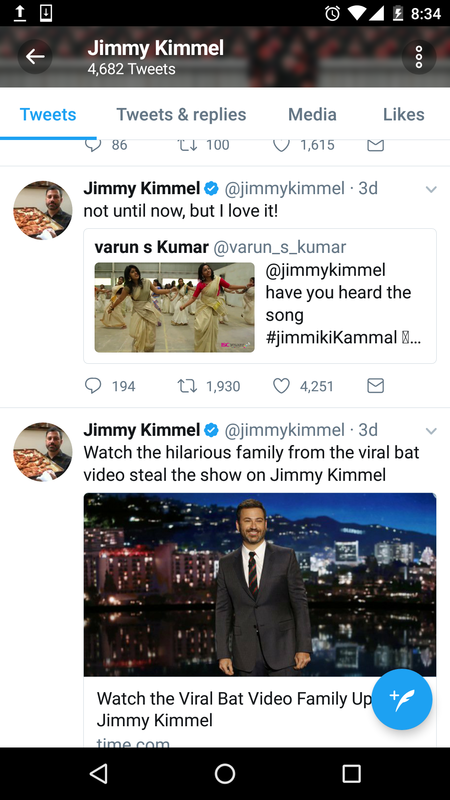 To add to this even Jimmy Kimmel (American television host) who had no clue why something similar to his name was trending ended up saying that even he likes #JimmikiKammal after watching Sheril’s Jimmiki Kammal video. 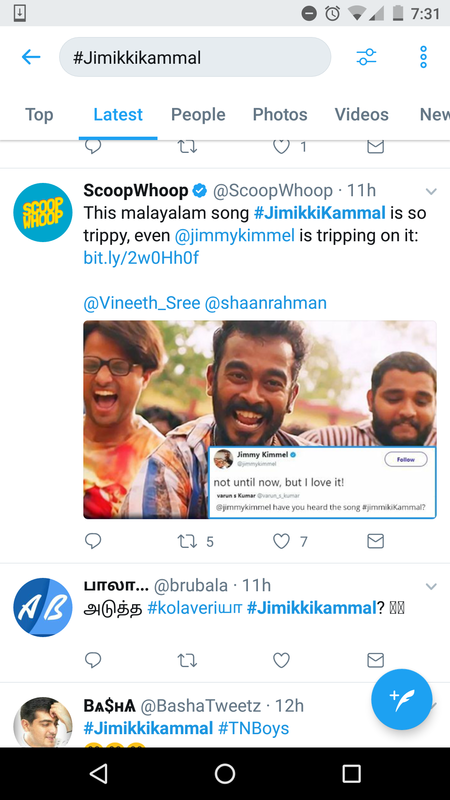 This entry was posted in Random, Technology and tagged Chipmunks, Dhanush Jimmy Kimmel, Facebook, Instagram, JimikkiKammal, Jimmiki, JimmikiKammal, Malayalam Song, Minions, Mr Bean, Sheril, Social Media, Trending, Twitter, Velipadinte Pustakam, Viral, YouTube. Bookmark the permalink.